According to an article on ESPN, Tiffany Thompson, Elliot’s former girlfriend, accused Elliot of domestic violence in separate incidents in July 2016. But after an investigation, a prosecutor in Ohio declined to press charges, citing inconsistencies in the evidence. The NFL, however, does not use the same standards as prosecutors when making its determination of guilt. It said it had “persuasive evidence” that Elliot had abused Thompson, and placed him on unpaid suspension for six games. Elliott continued to deny the changes; when his NFL appeal was turned down, the NFL Players Association filed for a preliminary injunction on his behalf to delay the suspension. U.S. District Judge Amos L. Mazzant III granted the preliminary injunction, enabling Elliott to play a key role in the Cowboy’s opening day victory over the New York Giants. The NFL has asked the judge for an emergency stay of the injunction and filed an appeal of the ruling as well. If the judge doesn’t grant the stay, Elliott could end up playing the whole season this year as the case works its way through the courts. Elliott is quoted as saying that he is relieved that he will get a chance to prove his innocence of the charges leveled against him. KEY TAKEAWAY: Just because you defend yourself against charges in one arena (the court of law, for instance) doesn’t mean the accusations won’t have ripple effects in other areas (the court of public opinion, for instance—or in Elliott’s case, the NFL’s internal process). Elliott is fortunate that no tapes apparently exist of his alleged abuse of his former girlfriend. In the case of Ray Rice, former running back for the Baltimore Ravens, a video surfaced that showed his alleged abuse of his fiancée (now wife) Janay Palmer in an elevator in the Revel casino in Atlantic City in February 2014. Although police had initially charged Rice with simple assault, TMZ Sports got a hold of surveillance footage that showed Rice dragging an unconscious Palmer out of the elevator. After seeing that video, a grand jury indicted Rice on a charge of third-degree aggravated assault, which could have landed him in jail for five years. Rice eventually entered a pre-trial intervention program designed to rehabilitate offenders. Prosecutors dropped charges against him after he successfully completed the year-long program. Participating in that program wasn’t enough to rehabilitate his career, however. The NFL initially suspended him for two games. (They later updated their domestic violence policy calling for a six-game suspension in cases of domestic violence.) But TMZ then released more footage from the video that actually showed Rice punching Palmer, knocking her unconscious. After viewing that video, the Ravens fired Rice, and the NFL suspended him indefinitely. Although he got the suspension overturned in court, Rice could not get another job in the NFL. His wife Janay has stood by him, saying it was just 10 seconds out of their lives. Rice now speaks out against domestic violence to various groups throughout the country. KEY TAKEAWAY: Minutes (or in some cases, even seconds) of bad judgment can profoundly and irrevocably change your life. The key is to accept where you are now—however heavy the charges—and make smarter decisions going forward. In some cases, it can be possible to find good in a very ugly situation. Rice, for instance, may be preventing many DV incidences/arrests with his speaking tour. Johnny Depp-Amber Heard: No Harmful Intent? One of the most high-profile cases of domestic violence in recent years played out in the tabloids in 2016. The story came out in the coverage of the divorce of actors Amber Heard and Johnny Depp. The pair began living together in 2011 and married in February 2015. But less than 18 months later—in May 2016—Heard filed for divorce and for a temporary restraining order. According to news reports, she said that Depp had been verbally and physically abusive throughout their time together, the last time just two days before her divorce filing. Depp’s lawyers said that Heard was making the allegations, because she hoped to get a better settlement in the divorce. (There was no prenuptial agreement.) 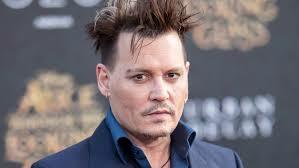 But managers in Depp’s former management company backed up Heard’s claims. According to an article in the Independent, a British newspaper, they said that Depp had gotten physical with Heard several times and then tried to cover up the evidence. They alleged that Depp kicked Heard in the head during one altercation. KEY TAKEAWAY: Violence in a relationship is bad and should not be tolerated—let there be no doubt. However, moments of terrible behavior don’t automatically erase or negate the good in the relationship. Depending on context, your relationship could be salvaged (with appropriate therapy for the aggressor and protection for the victim, of course), or the relationship could end on good terms. Again, the key is twofold: acknowledge the reality of your situation; and move forward in a strategic, moral, loving way. Rapper/hip-hop artist XXXTentacion will be appearing in court in October to defend himself on charges of aggravated battery of a pregnant woman, domestic battery by strangulation, false imprisonment and witness-tampering. According to BET, XXXTentacion (real name Jahseh Onfroy) had begun living with a young woman in May 2016. The abuse allegedly started two weeks later, when he slapped her and damaged her cell phone. The report—based on the victim’s testimony—said that he went on to threaten her life every day. He once punched, stomped and kicked the woman after she hummed along to a song playing on the radio. When she requested to go to the hospital after one particularly brutal session, she was taken instead to a bedroom and locked in for two days. After she managed to escape, the woman finally went to the Miami Beach police department and filed a complaint. The authorities then arrested the rapper. If convicted of the charges, XXXTentacion could be looking at several years in jail. KEY TAKEAWAY: Not all DV cases are equal! Assuming all (or even some) of the allegations against XXXTentacion are correct, the behavior is appalling and terrifying. But most DV situations/allegations are far less awful. This isn’t to say that abuse/neglect should be tolerated—again, as we said earlier, when it occurs, DV is fundamentally terrible. But just because you did something wrong that you deeply regret doesn’t mean your offense was in the same league as what allegedly happened here. Emma Roberts Arrest: A Misunderstanding? In most domestic violence incidents involving celebrities (and everyone else, for that matter), men are the alleged aggressors. But every once in a while, a female celebrity also finds herself accused of abuse. Back in 2013, police in Montreal, Canada, arrested actress Emma Roberts (daughter of actor Eric Roberts and niece of Julia Roberts) on charges of domestic violence. Roberts, then 22, was staying at a hotel with another American Horror Story actor, Evan Peters. Someone called police when they heard fighting in the room; when the authorities got there, they found Peters with a bloody nose and (allegedly) a bite mark. Since Peters was the only one with visible injuries, Roberts got slapped with the domestic violence charge. She didn’t remain in custody long, however, since Peters refused to press charges. A few days later, the couple released a joint statement saying that it was an unfortunate incident and misunderstanding and that they were working on their relationship. KEY TAKEAWAY: The line distinguishing unpleasant behavior e.g. (a couple yelling at each other) from criminal behavior can be murky. Distinct intervention/mitigation strategies should be applied to different situations. High-profile cases like those involving XXXTentacion and Ray Rice bring attention to the very real problems of domestic violence. But others, such as the Heard/Depp and Roberts/Peters stories, demonstrate that celebrity domestic abuse issues are not always as clear-cut as they may first appear in the media.